Toasty warm and incredibly comfortable. Stay moving with these stealthy trail-blazers! 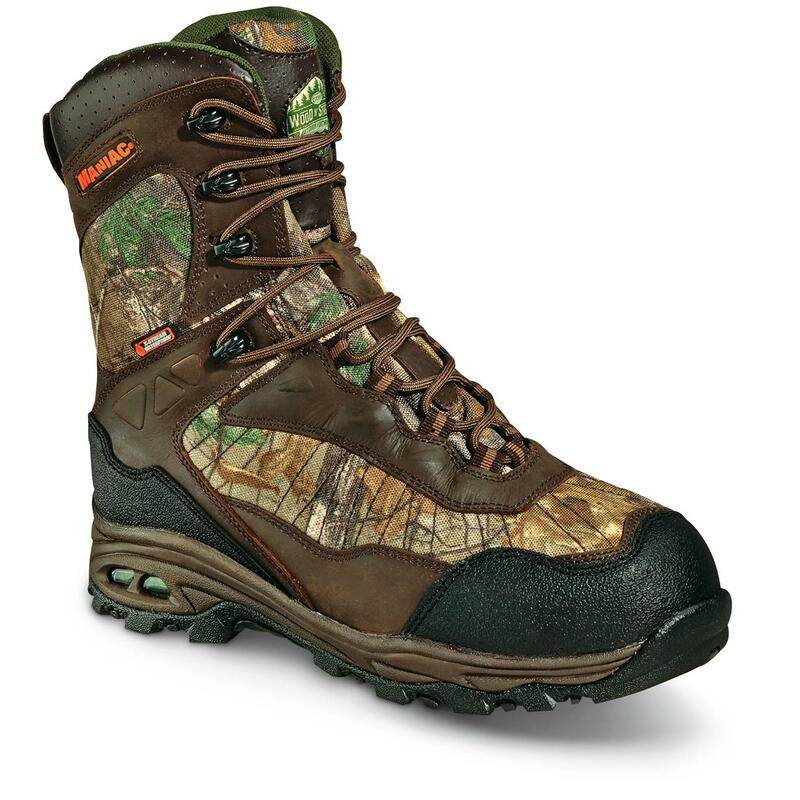 Wood N' Stream Manic system features a host of the latest technologies... the result is a boot ready to maneuver in the most demanding environments, while supplying your hard-working feet with a full 24 hours of soothing comfort. ThinsulateTM Platinum Insulation combines both a silky low-bulk feel with higher loft and more warmth than previous Thinsulates... even when damp! And scent-controlling X-Static® is woven right in to reduce your detection perimeter while on the go. Each approximately 8" height, 25 ounces.